In this box we experiment with pressure both ways, creating more and removing it with some pretty cool results! The box contains 3 activities and 2 collectables, a pump and vacuum pot! 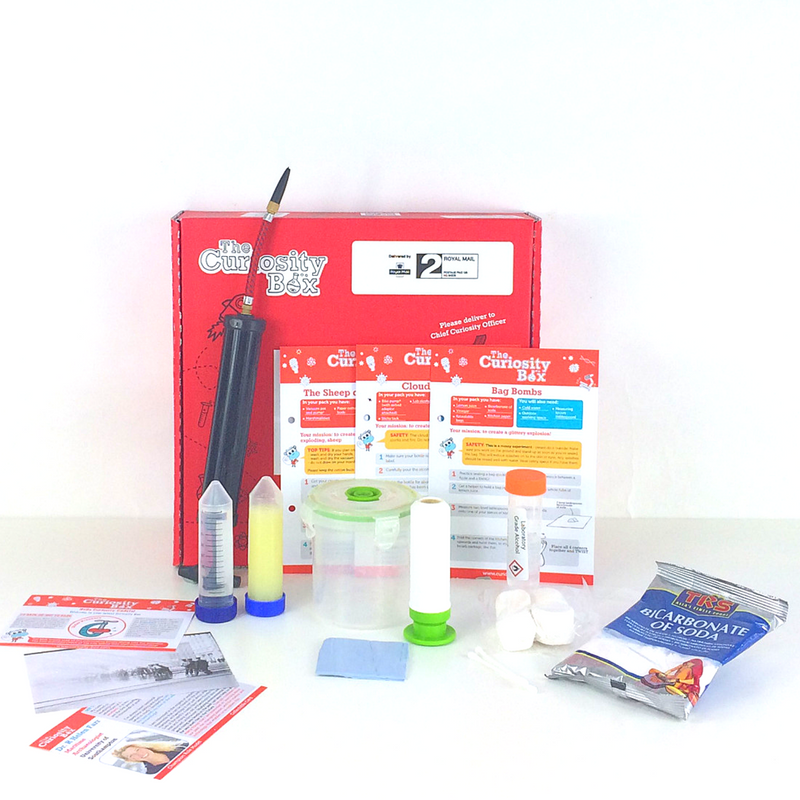 Create a glittery explosion with our Bag Bomb activity which explores what happens when you make carbon dioxide out of everyday substances. Make a cloud in a bottle and have a go at exploding marshmallows in our Sheep of Awesomeness activity (this is a Curiosity Box team favourite! ).